A full third of all renters move each year. While moving may seem habitual and easy for the seasoned renter, there can be some easy mistakes made during the process. To prevent stress from building up in your new place, here are some common renter mistakes to stay away from while moving. You don’t want any problems down the line, so you will need to read through every single detail of your lease and do not hesitate to ask questions. If there is something you don’t agree with, such as allowing pets or having snow removal, make sure to negotiate before you sign as you can always leave if you don’t feel comfortable with any apartment amenities or your apartment safety. You may think this is a good way to cut costs, but in reality, renter’s insurance is quite inexpensive. For a few dollars a month, you can be protected in case something that happens outside of your control. Your housing rentals company will have some recommendations if you don’t know where to start. Make sure that you have a thorough inspection before you move in. You don’t want to be stuck with mold, broken appliances, or preexisting damages that can be your responsibility when you move out. If you move in and find something right away that wasn’t there before, don’t be afraid to take pictures and contact your landlord. Common damages include leaky pipes, the hot water not working, or a weird smell of gas just because you are afraid of the expense. 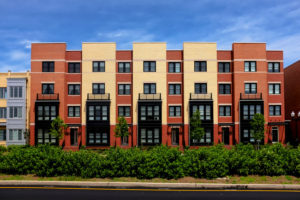 Waiting to take care of it most likely will result in additional damages, so simply call your landlord and they will help you figure something out. Apartment living can mean a confusing parking situation. Make sure to know exactly where to park, or you risk being towed! If pets are not allowed in your housing rentals, then do not sneak them in or else you will be in severe breach of your lease agreement. If this happens, your landlord has every right to raise your rent or even kick you out. With these tips in mind, you will be set for moving without a hitch!